Lead your club or country to glory with the first FIFA game optimized for Android. Match up real leagues, teams and players in international tournaments and cup competitions. Build your legend in the exclusive “Be a Pro” Mode. Track stats across multiple seasons and earn skills in competition against the world’s finest players! Simple touchscreen controls let you play with panache, too. Pull off defense-splitting passes, rifling shots, and pro-style tricks with fingertip ease. Playable in multiple languages, feel the pride and passion of the game loved around the globe. Hear the roar of sold-out stadiums, see the team presentations, and celebrate the winning goal with FIFA 10. 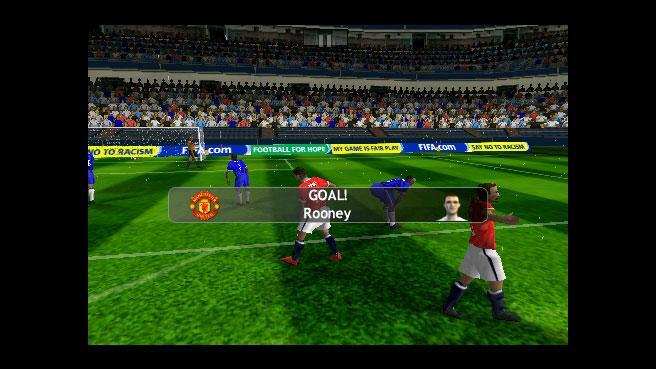 PES 2011 – the unrivalled football experience on the Android platform! The unrivalled and award-winning football simulation is entering its first season on the Android platform! – Unrivalled realism: Experience incredible gameplay and focus on tactics, goals and winning trophies while competing against the most advanced team and player AI on the market. 3. Bonecruncher Soccer by Distinctive Wireless Inc.
Bonecruncher Soccer is a high-intensity, adrenaline filled version of the sport. Feint Enabled -Bonecruncher Soccer™ is a high-intensity, adrenaline filled, primal version of the sport. The rules as we know them do not exist. Set in a 3D stadium, you have to guide your player as you dodge the savage defenders from the opposition and try to score that perfect goal. Like Soccer? Tap and swipe your way to World Cup fame in iA Soccer/Football! Tap and swipe your way to World Cup fame in iA Football/Soccer! * Drag a player to control his direction. The popular tablet game for Android phones. You can play Button Soccer against the computer or against another player! Play button football against the computer or against your friends. MANAGE YOUR TEAM TO SUPERSTARDOM! The newest member of the ‘Superstars’ franchise! Football Kicks is all about mastering your free kicks on the pitch. Football Kicks has been downloaded more than 3 million times on iPhone and now comes to your Android phone. Football Kicks is all about mastering your free kicks, earning your kit and locations through blood, sweat and tears on the pitch. Football Kicks features three game modes: Beat the Wall, Beat the Clock and the feared Sudden Death mode. You earn FK coins through playing, which will enable you to purchase yourself a customized kit, unlock extra stadiums and even get a new swanky haircut. The game is free to play with hours of gameplay packed in.